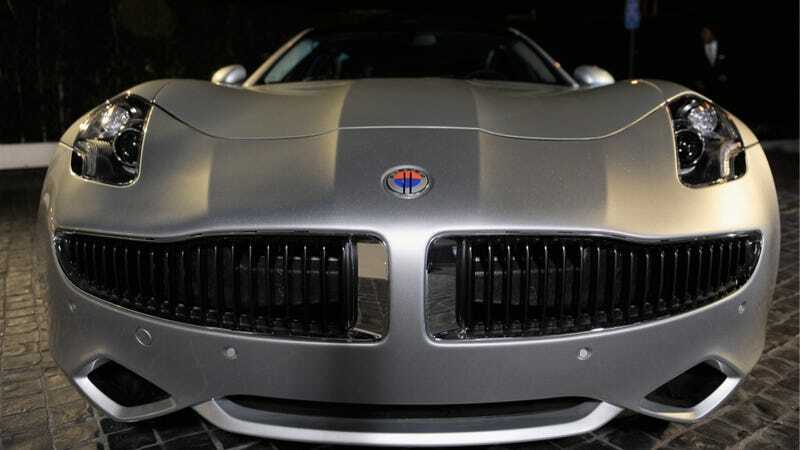 Will Congress Take Fisker Behind The Woodshed Today? It hasn't been a very good week for flagging Fisker Automotive, but then again, neither have the last few weeks. On Monday they failed to make a scheduled $10 million loan repayment to the U.S. Department of Energy, and today, they will be brought before a Congressional oversight panel. The title of the House Oversight and Government Reform Committee's hearing this afternoon isn't subtle at all: "Examining the Department of Energy’s Bad Bet on Fisker Automotive." Ouch. It is set to examine the $529 million in taxpayer line of credit given to Fisker, although they "only" ever drew down $192 million. Presumably, the Republican-dominated panel will have ample ammunition to criticize the Obama administration's loans to green startup companies, one of which — California solar panel manufacturer Solyndra — has already become a household name synonymous with failed government-backed businesses. But the Energy Department's Advanced Technology Vehicles Manufacturing Loan Program is one that definitely deserves scrutiny, especially now that one of its five loan recipients is most likely headed for a bankruptcy that could prove rather expensive to the American taxpayer. In addition to Fisker, taxpayer money was given to Tesla, Nissan, Ford and a taxi cab manufacturer called The Vehicle Production Group. Keep in mind also that one group says Fisker kept taking loan money even after they defaulted or missed targets, although the Energy Department denies this. Scheduled to testify at the hearing today are Henrik Fisker, Fisker COO Bernhard Koehler, Energy Department loan superviser Nicholas Whitcombe, and possibly also Tony Posawatz, the ex-Chevrolet Volt engineer and current Fisker CEO. We could learn more about how Fisker received the money in the first place, how they missed their performance targets, whether or not they really continued to draw taxpayer funds after failing to meet those targets, and more on the company's current health. Your intrepid Jalopnik Capitol Bureau Chief (me) will be there to cover the proceeding, so be sure to tune in later. It could get spicy.